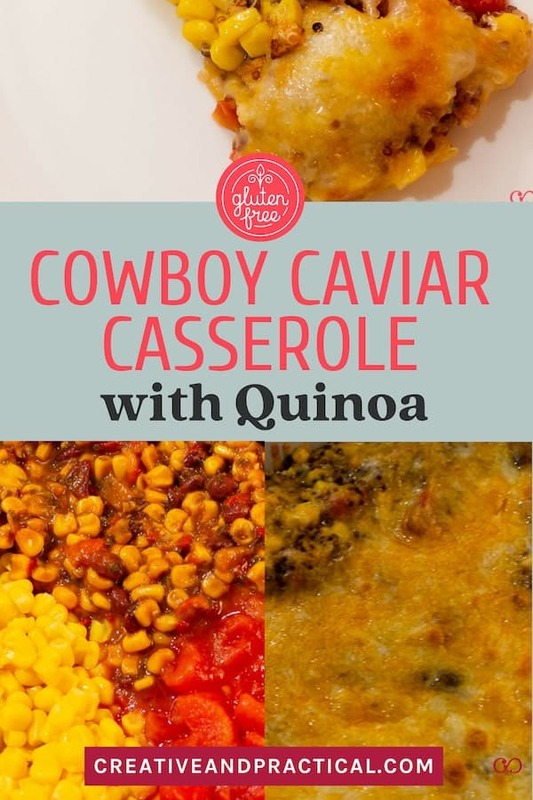 Cowboy Caviar Casserole with Quinoa is an incredibly simple, low prep, (semi) healthy, and gluten free dinner option your whole family will love! Whenever I introduce a new dish my family challenges me to come up with a name. Be forewarned this story is super dorky and by no means relevant to cooking this dish (or to politics for that matter). If you like dorky anecdotes read on, otherwise scroll down and go straight to the recipe. Ok here it goes. 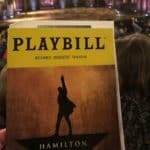 Andrew Cuomo is the governor of New York and his longtime partner is Sandra Lee. Sandra Lee used to have a show called ‘Semi-Homemade Cooking‘ on the Food Network. So, when my husband asked me what I would call this dish I thought of Sandra Lee’s dishes which involved a lot of pre-made ingredients she combined into a new delicious creation. Therefore, I dubbed it the ‘Andrew Cuomo Dish’. I am pretty sure neither Sandra Lee nor the New York governor have any idea this dish exists. My own goal is to live a gluten-free life that feels normal, fun, and is sustainable in the long run. 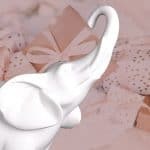 I am hypo (short for having hypothyroidism) and after years struggling with food, I decided in July of 2018 to quit gluten. I’ll talk more about this in the future but for now suffice it to say that after just three months of excluding gluten from my diet, I began to experience some pretty fantastic results. And although I am very passionate about cooking, sometimes I am just looking for super simple dinner solutions. 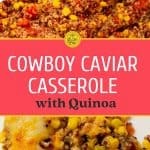 So, I like to have some go-to recipes that don’t require much prep – just like the Cowboy Caviar Casserole with Quinoa. Like many of my dishes, ingredients can often be skipped or added at will and the dish will still be delicious. If you are a novice cook, this one is for you. So, let’s say you don’t have canned black beans on hand (which I didn’t the first day I cooked this dinner), don’t add them. The Trader Joe’s Corn, Black Bean, and Pepper Salsa includes black beans, but my husband asked if I can add more because that’s how he enjoys this dish. I love sweet corn, so I generally add an entire can in addition to the ones that are in the Trader Joe’s Cowboy Caviar Salsa. And as for the cheese, my family likes cheese so while it’s definitely not required to add on an entire bag of shredded cheese, it’s what we like. I’ll be honest, the Trader Joe’s Cowboy Caviar Salsa is super delicious and it’s the easiest way to make this dish. But if you don’t live near Trader Joe’s you can still make this dish. Just look for a medium spiced salsa verde like this one available at Walmart. 14 oz Trader Joe’s Corn Black Bean, And Pepper Cowboy Salsa No Trader Joe’s. No problem. See below. 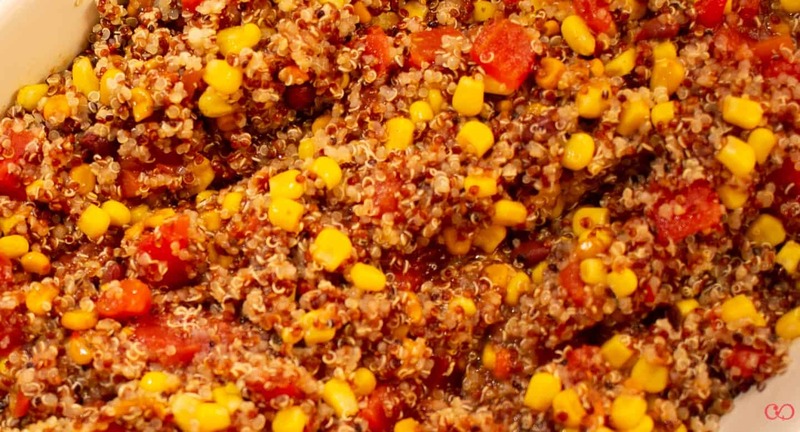 Cook quinoa according to the instructions. For mine it means take 2 cups of cold water, add the quinoa, bring to a boil. Then let it simmer at the lowest temperature for 15 minutes. Meanwhile grease a baking dish with baking spray. 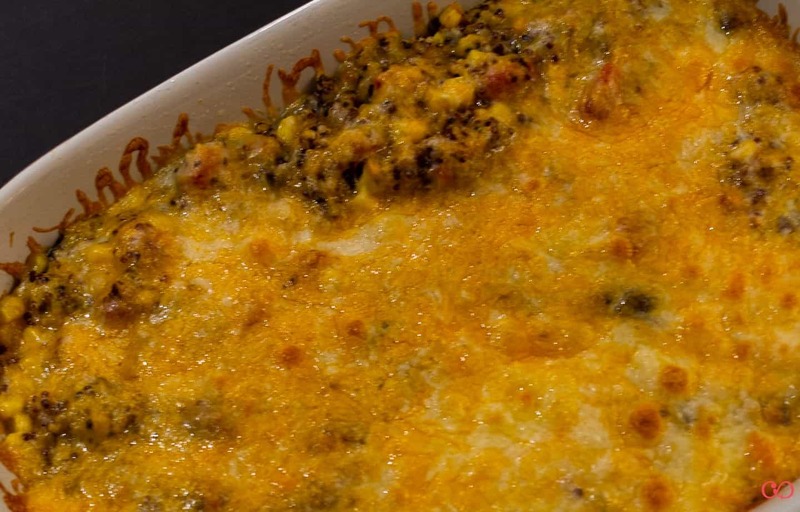 Add canned tomatoes, sweet corn, and black beans (optional) into the greased baking sheet. 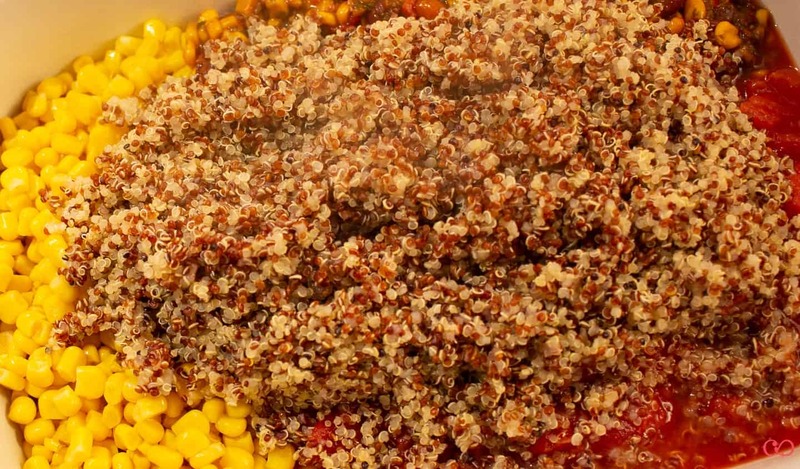 Next add the cooked quinoa to the tomato, sweet corn, and black bean mixture. Mix all ingredients in the baking dish. 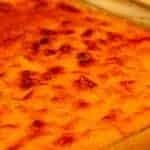 Sprinkle with a shredded Mexican Cheese blend like the Trader Jose’s Fancy Shredded Mexican Blend. If you like this dish you’ll also enjoy the Gluten Free Red Lentil Pasta Salad which is also an incredibly easy to prepare, gluten-free lunch or dinner option. And if you’d like to add some fish to your dinner, try making the Roasted Salmon. 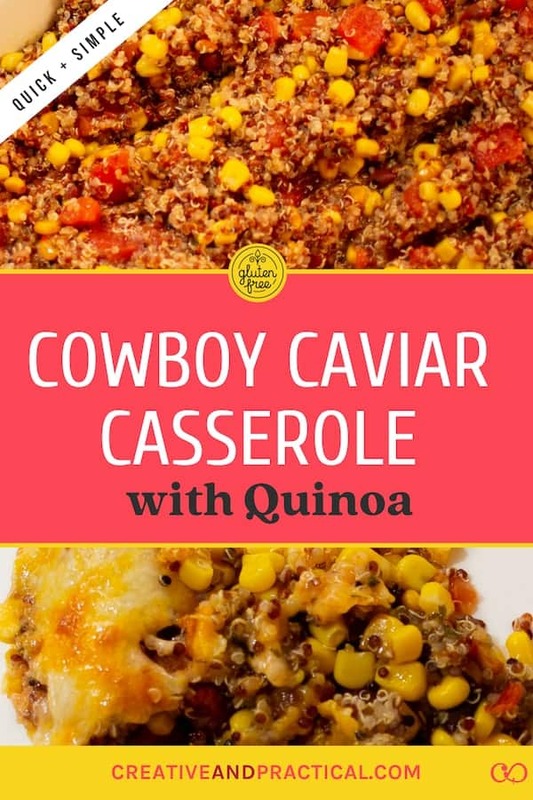 Do you enjoy super simple, low-prep dinner options like the Cowboy Caviar Casserole? Have you tried the Cowboy Corn Salsa from Trader Joe’s? 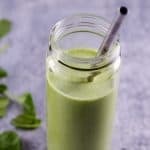 Will you try this recipe? Please leave your comments below and tag me on Instagram, Twitter, or on Facebook. Be sure to use the hashtag #creativeandpractical. OMG!!! 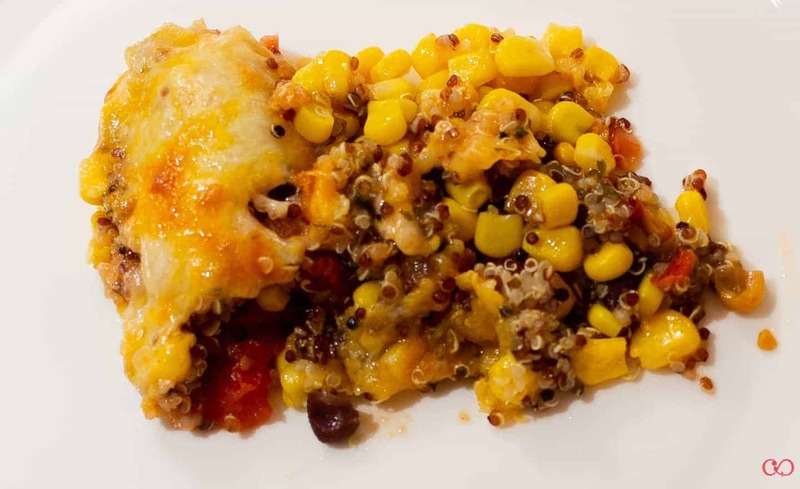 I made this dish … it was the first time I tried quinoa. My family’s hooked. Thank you so much.